Sgt. Steve Gibson (Ret.) of the Vancouver Police Dept. 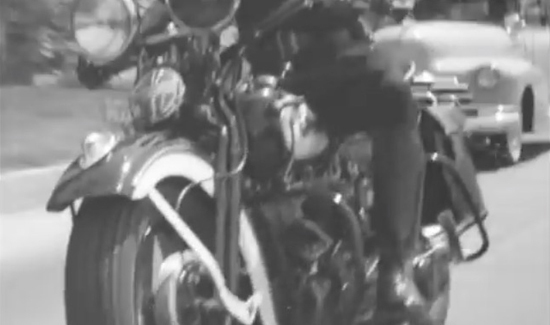 in Canada wrote in to tell about this 1940s LAPD Motorcycle Officer recruiting film. Pretty awesome! No helmet, 6-volt, 3-speed manual shift Harley Davidson. And look how empty the L.A. freeways used to be!